I am putting my foot down with myself. I am going to support my crafter friends. I am going to support the people that are just trying to change the world with an original thought. So if at all possible, I am going to buy handmade. I will be posting links of friends and artists that I admire that make beautiful and unique gifts. I will probably do the bulk of my shopping at Renegade Craft in Austin (and I’ll be there too!) I currently live in a state that is VERY slow to adopt any sort of new thing. But I think Mississippi can step up their game. I do. We can boast with visionaries such as Jim Henson, Elvis Presley, William Faulkner, Eudora Welty, and OPRAH! Bam. That alone should tell me that there is hope for my state. I want to see retailers in Mississippi start seeking out local artists to carry in their shop. I want to see a change. THIS Christmas. Yes. Even if it’s just two gifts you give that are handmade, that would be a start. I feel so much better now that I’ve put this out there now. More excited about Oprah than Jim Henson. You and my mom should hang out. LOVE this! I can’t wait for the list of friends and artists. 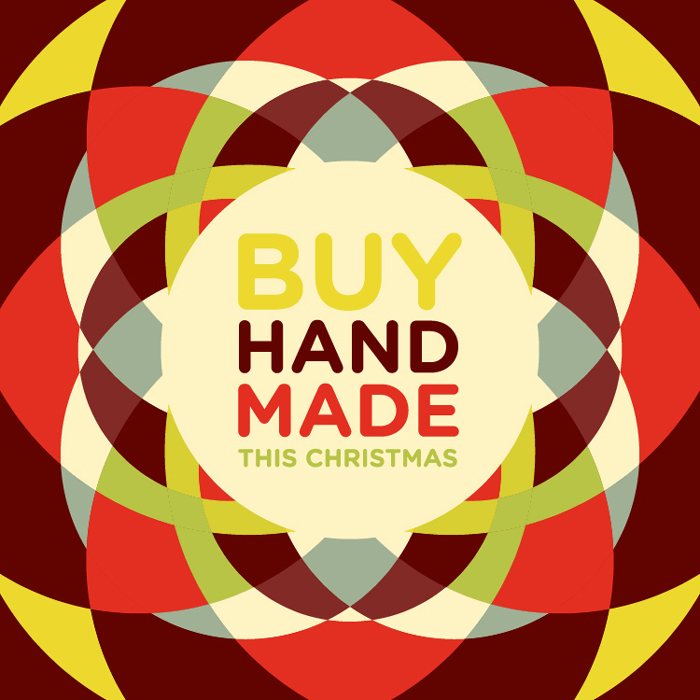 That’s one thing I’ve been focusing on this Christmas, and if I don’t buy handmade to pick things from small companies that I really admire and want to support. It helps to start early with this. I find that the gifts I wait to the last minute on are the ones I have to fight the urge to run to Target and just grab things.